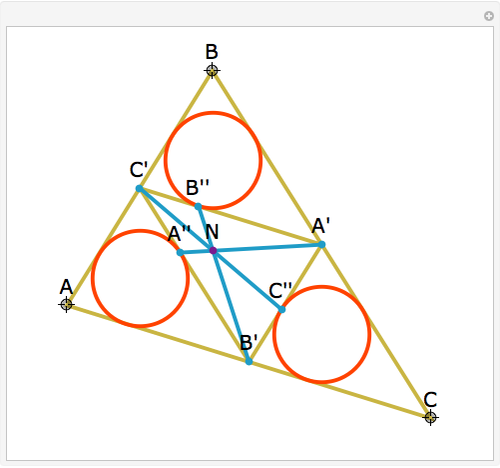 Let ABC be a triangle and A', B', and C' be the midpoints of the sides opposite A, B, and C. Let A", B", and C" be the points of tangency of the incircles of AB'C' with B'C', BA'C' with A'C', and CA'B' with A'B'. 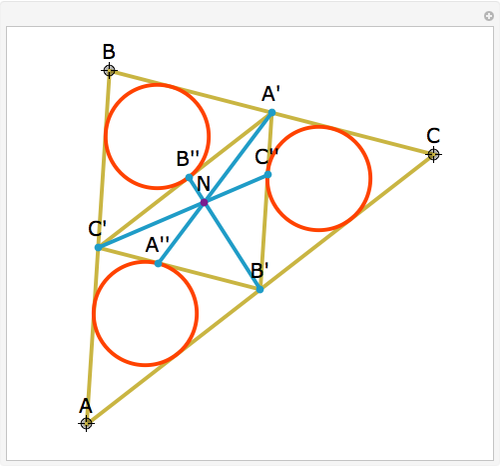 Then A'A", B'B", and C'C" are concurrent and meet at the Nagel point. 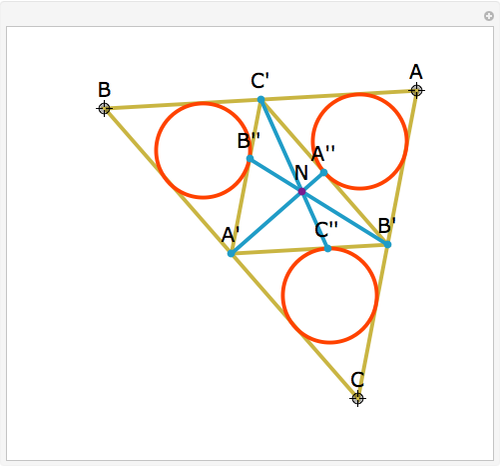 The lines connecting the vertices of a triangle with the corresponding points of tangency of the three excircles are concurrent at a point called the Nagel point. 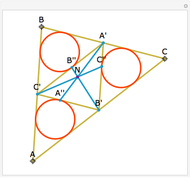 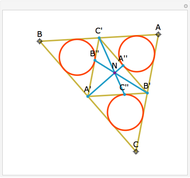 A. Bogomolny, "Nagel Point of the Medial Triangle," Interactive Mathematics Miscellany and Puzzles. 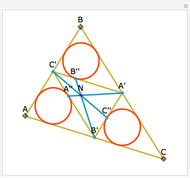 Jay Warendorff "The Medial Triangle and Concurrency at the Nagel Point"